''In 2015, Europe saw record numbers of refugees since WW2. Myself and a friend knew we had to step up to help. Initially we put out a call for help in our local church community and soon our social media campaign was heard by hundreds of people all over the world. Care4Humanity was born. displaced people in Syria. The community has literally donated tonnes of donations. 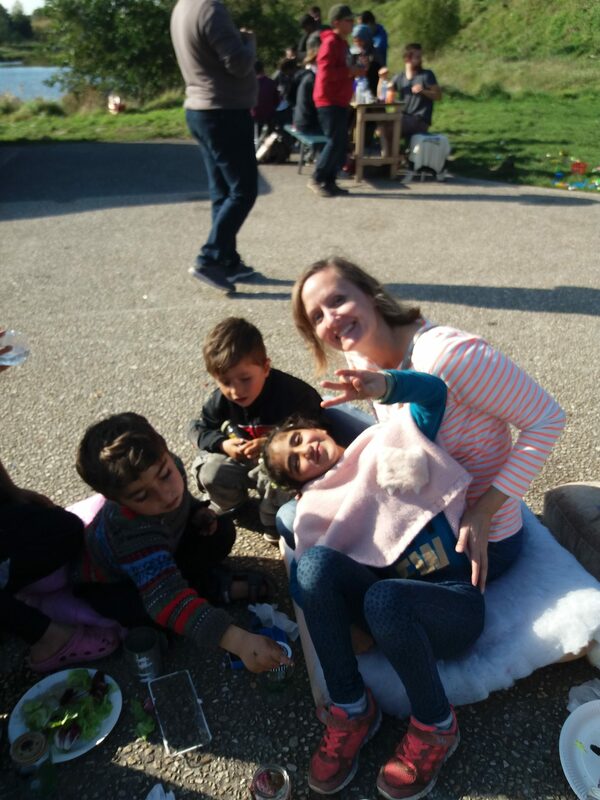 Alongside the aid, we have regularly gone in groups to Northern France to aid in any way we can in order to make the situation better: from building shelters, serving food and playing games with children. We have always been met with the greatest hospitality and have been blessed to meet hundreds of people who have made our lives richer. The winter sleepout is in aid of refugees in Northern France who currently sleep rough in freezing temperatures. We will purchase good quality winter sleeping bags with every penny we receive." "My son and I moved to the Kent coast 4 years ago. At night we can see the twinkling lights of the French coastal villages across the sea. About two years ago I started hearing about the refugees in Northern France and every time I’d see those twinkling lights I imagined people going cold and hungry. Usually after a wardrobe de-junking session I’d bring my stuff to one of the many local charity shops but now I wanted our donations to get to the refugees. whom without exception have all been warm, generous and dignified, just made me come back month after month. Although I’d love to help out over there full-time, as a sole parent of a child with autism that is just not an option. Care4Humanity makes it possible for people who want to help by giving their time, skills, goods or funds, to do so in the quantities they can afford. Volunteers can participate in organising local donations, sorting events, apple picking, funds or goods raising and going to France once a month to give aid and relief directly to the refugees. An added bonus is that you will meet new people at each C4H event." I am passionate about, so I make it work. I first started volunteering for Care4Humanity in my first year of University (two years ago now). I was learning about refugees in one of my modules at University and there was also a lot of media coverage about the topic, at the time. However, I quickly grasped that maybe the way things were being reported weren’t necessarily true. I went along to volunteer a few times and saw for myself the need for help: families without homes, men without adequate clothes and children without shoes in a very cold climate. There was limited food, clothing, water and shelter. The conditions were horrendous. This is the reason why I chose to carry on volunteering. 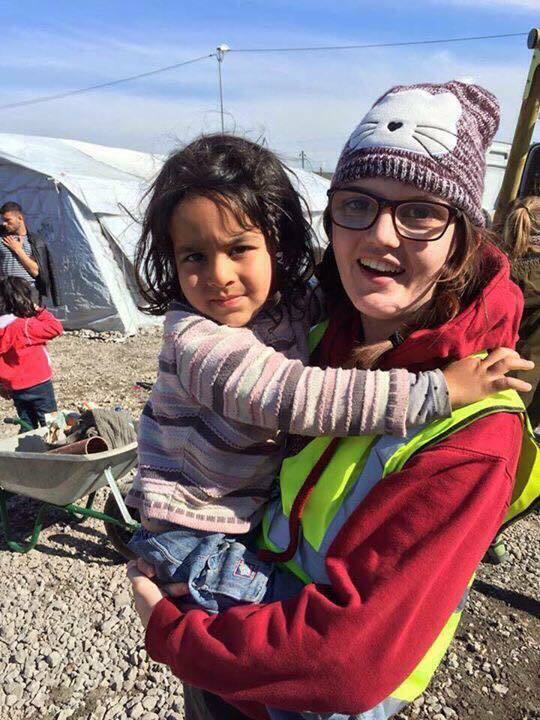 The media doesn’t show much, but the refugee crisis is still present and still very real. Although we can’t make a massive difference to all of the refugees in the world, our team can go out when we can and provide some help to those who need it and bring some joy to the refugees on those days. Whether that help be clothes, food or activities. The members of our team can change regularly but there are a few staple people within the group who drive it forward. They do so much work alongside their personal life and I truly admire them for that. I chose to fundraise for this charity because I have seen first-hand the help that is needed. These people are more than just refugees: they are humans who deserve love, respect and recognition."